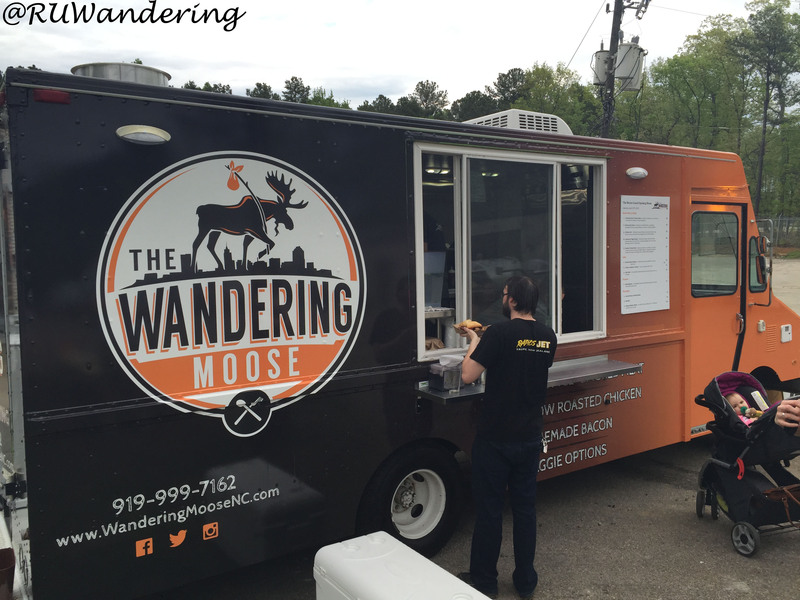 Last Saturday at Gizmo Brewworks, I had an opportunity to be one of the first food truck fans to try Wandering Moose. Restaurant veterans Anthony Reid and Matt Lundgren are behind this new concept. I actually got a chance to meet Matt while he was working at Barone Meatball learning the differences running a restaurant building versus a mobile restaurant. The menu is “slow cooked meats, scratch-made sauces, and fresh sides.” I went for the “Montreal Style” Smoked Meat, which before I re-read the menu I thought was a slow-cooked pastrami and rye. I was close as they described as Pastrami’s cousin. I actually liked it better than a pastrami sandwich, because the slow cooked, juicy meat was pretty flavorful. For a side, I went with a smokey macaroni and cheese. 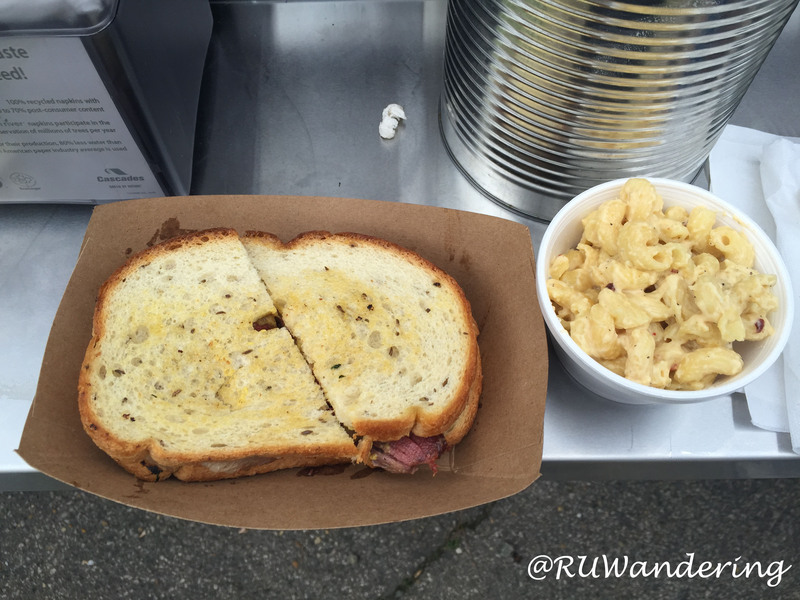 The homestyle mac paired with the slow cooked pastrami brought a warm feeling, like I was eating in the wilderness with moose (did you know the plural for moose is moose?). In addition, they also serve beignets and flavored moose water (spring water flavored for the day). I hope I can try both of these, in addition, to the other sandwiches on the menu.